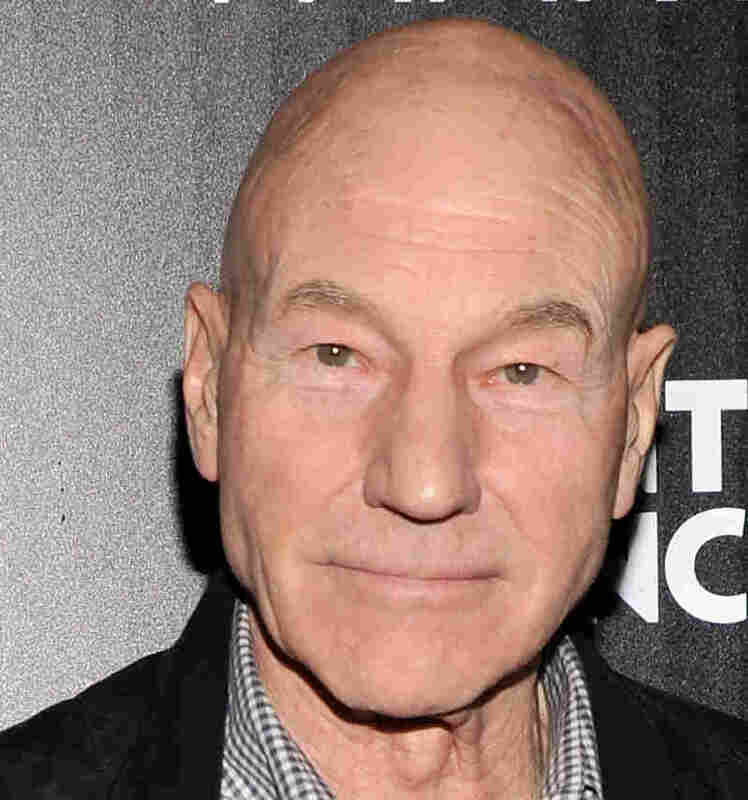 VIDEO: Patrick Stewart's Strong Words About Domestic Violence : The Two-Way A young woman's question prompted an eloquent answer from the actor, who spoke of the abuse his mother suffered and the role men must play in stopping such cruelty. "Violence is never, ever a choice that a man should make," said Stewart. This video is recommended viewing for everyone, but especially for anyone who has been a victim of domestic violence or knows someone who has. When a young woman attending Comicpalooza in Houston last weekend rose to thank actor Patrick Stewart for a 2009 speech he gave about domestic violence and violence against women in particular, Stewart launched into an eloquent discussion. He spoke of the abuse his mother suffered at the hands of his father. He talked about how he has worked with groups who shelter victims of such abuse. And he discussed a "million man pledge" he's joined. "I do what I do in my mother's name because I couldn't help her then. Now I can." Stewart also spoke about learning years later that his father had suffered from post-traumatic stress following World War II, which has led Stewart to also become involved in campaigns aimed at assisting war veterans. He got his biggest applause for saying that "violence is never, ever a choice that a man should make." "Sir Patrick didn't even hesitate, he smiled, hopped off the stage and came over to embrace me in a hug. ... He held me there for a long while. He told me 'You never have to go through that again, you're safe now.' I couldn't stop thanking him. His embrace was so warm and genuine. It was two people, two strangers, supporting and giving love. And when we pulled away he looked straight in my eyes, like he was promising that. He told me to take care. And I will." Stewart was a Comicpalooza, of course, to greet the fans he earned thanks to his starring role as Capt. Jean-Luc Picard in TV's Star Trek: The next Generation.